One too many epiphanies had driven my resistance down. Feeling down had taken a sharp turn toward depression. I had pulled a blanket from the closet, turned out the lights, closed the blinds, took to sofa and prepared to lose myself into a movie. But had it really come to this? Yes, it had. It was already unfolding before my eyes. 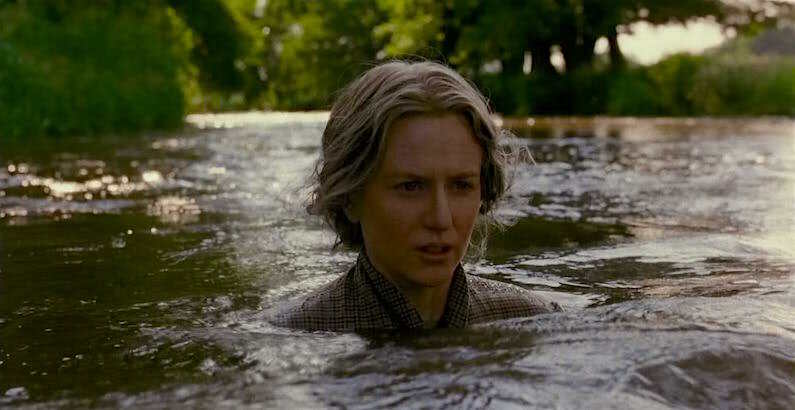 Nicole Kidman, two pockets filled with stones and a prosthetic nose were floating toward death. Ed Harris and Julianne Moore fell and swooned into their respective doom. Meryl Streep would soon be compressing into a tidy mess in her kitchen as Jeff Daniels stood by in a stupor of blonde confusion. And here I was watching the grim human sadness that is The Hours. To make it all the worse, I was suffering the added indignity of watching it all via an outmoded DVD. The 2003 DVD can’t seem to keep up with the 2015 huge flatscreen TV. Every image is a bit washed out and hazy. Nicole Kidman readies to descend. I sat up and decided to take matters into my own hands. I held the Universal Remote with a firm and fully articulated grasp. I pressed “Eject” with a sturdy resolve. 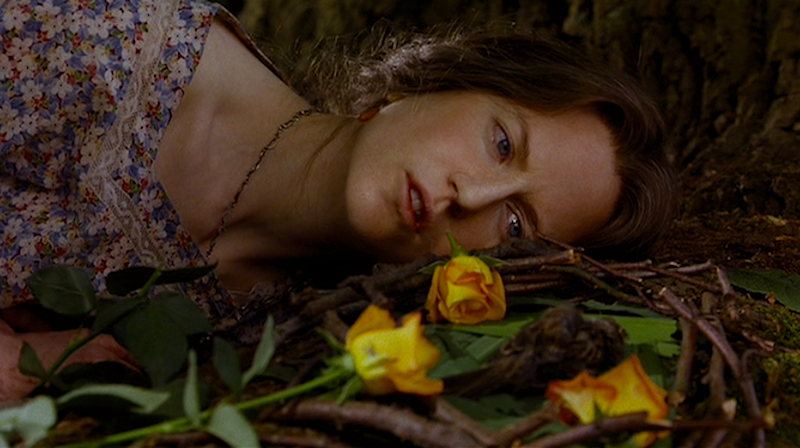 Our sad copy of the depressive Stephen Daldry was quickly returned to its cracked jewel box. I’ve never been a half-measure sort of person. I seem to either go all the way or no distance at all. But I would not define myself as “extreme.” That isn’t too say I am not capable of excess. I am. It was at this point I opted for a movie that might lead my attentions in an altogether different direction. As I slipped our Pillow Talk blu ray into the player I suspected I might be making a mistake. No one can accuse Joseph Gordon-Levitt’s grandfather of understatement when it comes to his 1959 pop cultural cinematic landmark. On the one hand this film could be discussed as a gender identity politic comedic study — and on more than a couple of levels. 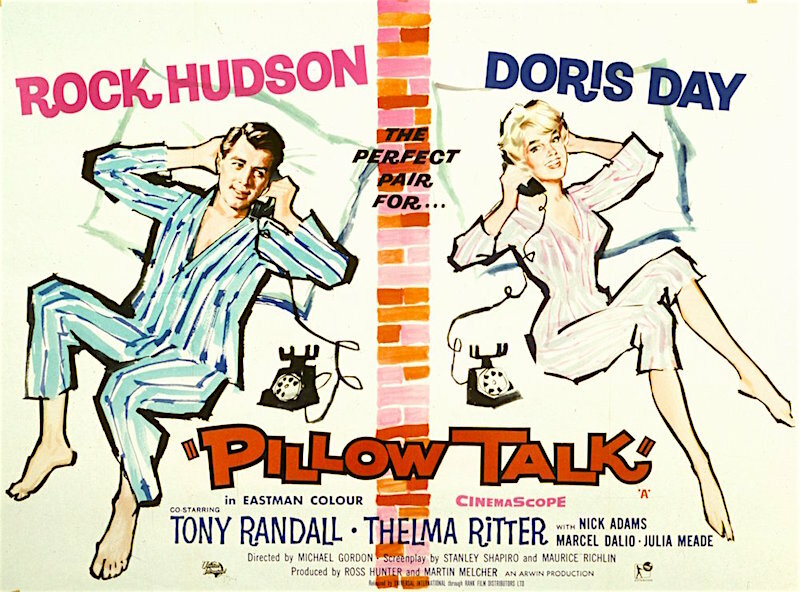 With hindsight, the idea of Rock Hudson as a ruthless ladies man is beyond irony — Pillow Talk becomes more than a little meta when applied to ideas of sexuality. But on my other hand this move movie is just a silly romp that was most likely dated even when it arrived on CinemaScope Screens across the world. This box office hit scored more than a couple of Oscar nominations and a win! Yes, Pillow Talk was awarded an Academy Award for best original screenplay. It also gave Doris Day and Thelma Ritter Oscar nods for their respective performances. It would be unfair to claim that this movie isn’t clever and equally amusing. It is. However it is not particularly witty. The plot is about as flimsy as it gets, but it is the performances, editing and sheer goofiness that makes this iconic movie so much fun. Thelma Ritter is the movie’s most valuable player. As she snarks and complains her way through the various hyper-color sets — Thelma not only advances the thin plot she continually comments on it. Her hang-over ridden character’s head is hurting not only from booze but from the woozy level of sexual repression going on all around her. Tony Randall is, well, Tony Randall. It works here. But the film really belongs to Doris, Rock and the creative split screen utilization. The telephone politics and party line of the late 1950’s might not be known to us, but we catch on pretty quick. Rock Hudson hams it up and seems to be poking the screen at his real life gay buddies. It is impossible not to chuckle, but it is Doris who really amps it all up. Ms. Day’s capacity for facial mugging seems to know no bounds. Her petite figure, bright blue eyes and deep red lips constrict and pulsate to unbelievable extremities. She is never wonky or goofy, but she totally camps her reactions and timing as if she were a tightly wound fashion doll ready to explode. A performance like this would be the thing of “Anti-Comedy” — but framed within the multiple frames of Pillow Talk she manages to trick out her performance that seemed to rival any other performance given in 1959. But all the double entendres, facial mugging and idiosyncratic editing began to take their toll on my troubled soul quicker than I expected. Once again I pressed the eject button. 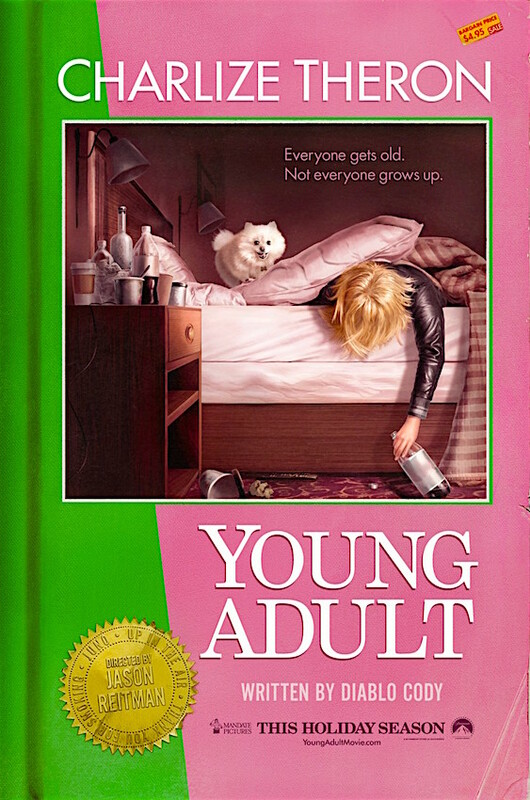 I decided to direct my mind toward Jason Reitman’s adaptation of Diablo Cody’s acidic Young Adult. This movie almost fools me every time. How? I really should know better. I’ve seen it more than a couple of times. The thing is that it always makes me laugh. I guess I remember those comical moments over the reality that interlaces each one. I had skipped seeing this film when it was released. I was worried that it would smack of the same ick-twee that ruined both Juno and United States of Tara. Stop. Don’t complain or correct me. I know that the number of folks who love that movie and show well out number those of us who didn’t. But any sense of reality was tossed out the window to earn laughs. Young Adult is actually one of my favorite films of 2011. I was sorry I had not supported it at the cinema. As the story of Mavis‘ journey back to her hometown and that this entails began I worried that this disc might have been a poor choice for my day. It is never clear if Charlize Theron’s Mavis suffers with Borderline Personality Disorder or if she is simply a truly cruel and self-involved functioning addict. It is to the film’s makers credit that it is never articulated. Theron’s movie role choices are often questionable from an artistic standpoint, but when she does manage to find her way into a good role, she plays it with gritty conviction. This is most definitely the case with Mavis. In more than a few ways, the actor actually goes beyond the power she conveyed in 2003’s Monster. The role of Mavis may not offer her the same obvious challenges, but it does lay out a gambit of challenges that most actors would fail. Theron is truly brilliant in this role. Mavis‘ story offers only a bit of insight into why she is so self-involved and raging. This is a woman headed toward 40 with the emotional intelligence of spoiled High School Princess. Each scenario in which we experience Mavis pushes up the level of uncomfortably so that we do laugh, but those laughs come at the expense of the characters on the screen. Cody, Reitman and Theron never back down. Just when we think there might be some hope for the protagonist the film zooms in on Mavis‘ deeply rooted delusions. This hard-edged study of human failing was not going to be as depressing as The Hours, but in some ways it was going to be equally soul-daring. 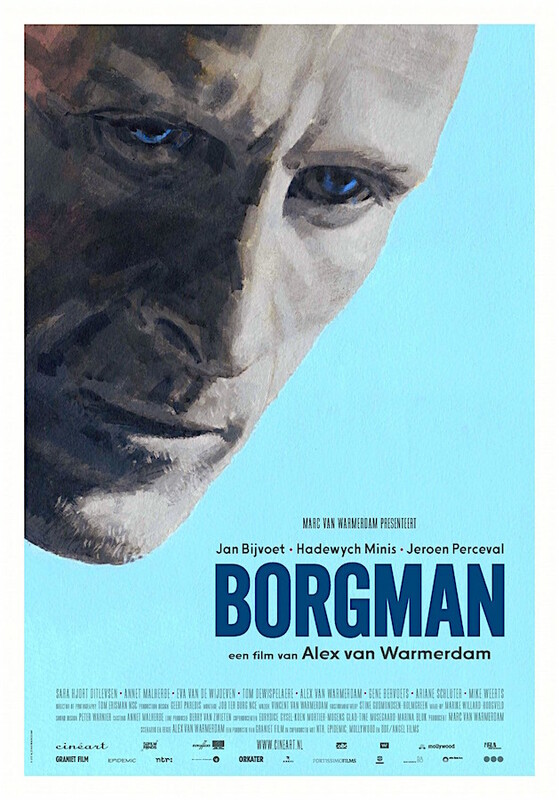 So I pushed in Alex van Warmerdam’s Borgman. This twisted Danish film turned out to the perfect accompaniment for my blues. As strange as it is fascinating, Borgman presents the idea of home invasion as a folklore parable. van Warmerdam’s film plays out with stark efficiency. This is a tight and symmetrical example of cinematic storytelling that somehow manages to establish a constant threat of menace. The reason that this ever lurking danger is surprising because the film unfolds with a misplaced levels of orthodoxy. As I recall this movie came out of nowhere for me. I literally stumbled into the screening by default. I loved it then and I still love it now. Jan Bijvoet plays the title character. We meet Borgman as he is awakened from a slumber that might be closer to hibernation than rest. Like a demon, his determined vagrant emerges from a tunnel of various underground living graves. Nonplused and regimented, Borgman quickly wakens his sleeping pals and quickly escapes from the hunters who seem to seek to slay he and his kind. “I wonder if I could have a bath here. I’m a bit dirty,” he explains to a stern housewife. His polite directness seems to contradict his wild man appearance. He has walked up to the first suburban home that meets his satisfaction. It is an upper class home and well appointed. Luckily for her, the housewife smartly slams the door in his face. Without any sign of surprise Borgman strolls along until he finds a cold but wealthy looking bit of minimalist architecture that houses the poor family that accepts him in for a bath. He does not gain entry easily. A fight between the husband / father of the house takes place, but this only seems to ignite a greater need for access to their bathtub and home. Borgman appears to be in charge of four others. It doesn’t take long to realize that this morose band of home invaders are most likely not human. They seem to illicit some form of powers over others and they might even have the gift of shape shifters. The children and their nanny seem to find Borman and his friends to be enticing beyond explanation. They easily accept he and his actions and demands with not even the slightest hesitation. The children and their nanny are not fully developed characters, but each seems to feel real. As Borgman‘s crew infiltrates their shared lives, their darkest aspects begin to shine through. The father and master of the house is also easily swindled into accepting / following anything that Borgman asserts or suggests. But it is Borgman‘s connection with the wife and mother that seems to hold the strongest grip. It is through this connection that much of the film’s menace emanates. Is he planning to seduce or simply invade her dreams as well as her home? By the time things take turns toward murder, seduction, suspicious implant surgery and other surprising bits of magic — the audience is not so much shocked as worried. It is an interesting and intoxicating mix of worry and curiosity. This unforgettable and grim little movie is spellbinding. It is difficult to even fully articulate why we feel worry or dread. Only the character of the wife is developed and she is not someone we trust or like. Clearly under Borgman’s influence she does manage a few moments of lucidity. When she expresses her fear and confusion it is unclear if she really and truly cares. She seems to know what is going down long before anyone on the screen or in the audience — she seems even more complicit than her children and nanny. Momentarily forced into the role of The Hunted, Borgman quickly gathers his wits and sets out on a hunt of his own. Borgman‘s use of violence and horror is surprisingly demure. This is no typical horror film. In fact it is actually far less horror as it is a modern twist on the concept of folktales. The film smartly offers brief scenes that offer up allegory or parable but never to the point of the obvious. Although clearly a harbinger of doom, Borgman always artistically extracts his jollies with surgical precision. It is an unsettling and amusing view that provides insights with repeated viewings. This is a film that deserved far more attention than it received. As the credits began to roll I realized that it taken me a while to find the correct film for my mood. Turns out that a depressing movie was a bad fit. A broad comedy even worse. A dark comedic character study certainly wasn’t the right fit. No, I found some solace from my blue day from a Danish film that pushes the boundaries of horror into something mythical, mysterious and subversive.